The Latest Advancement in Valve Insertion or Line Stopping. “Take it or Leave it – The Valve Bonnet that is”. The EZ system was developed to provide important performance and installation benefits to professionals working under difficult conditions and with critical needs. High quality components meeting industry standards (AWWA material spec C-509-09/C-515 and UL Drinking Water System Component ANSI/NSF 61. Also certified to NSF/ANSI 372 MH49142). Sizes available for 4”-12” (100mm-300mm), 14” (350mm), 16” (400mm), 20” (500mm) and 24” (600mm) systems – 18” (450mm) coming soon. 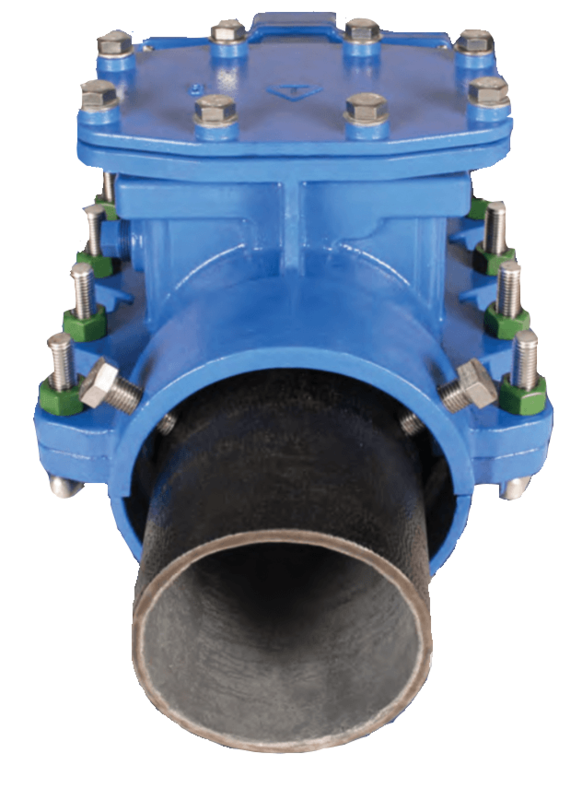 “Take it or Leave It” Valve bonnet design lets you choose to retain the insertion valve operation or temporarily create a line stop; the bonnet may be used for multiple projects. materials meet AWWA C-509-09/C-515 standards and UL Drinking Water System Compenent ANSI/NSF 61. Also certified to NSF/ANSI 372 MH49142. 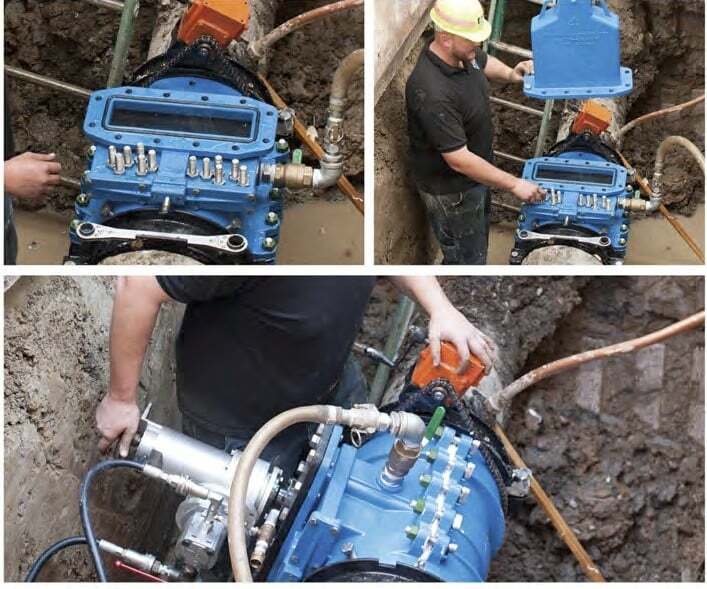 The “Take It or Leave It” valve bonnet feature provides the flexibility to either insert a permanent, high quality valve or temporarily use EZ for an economical and single excavation line stop. 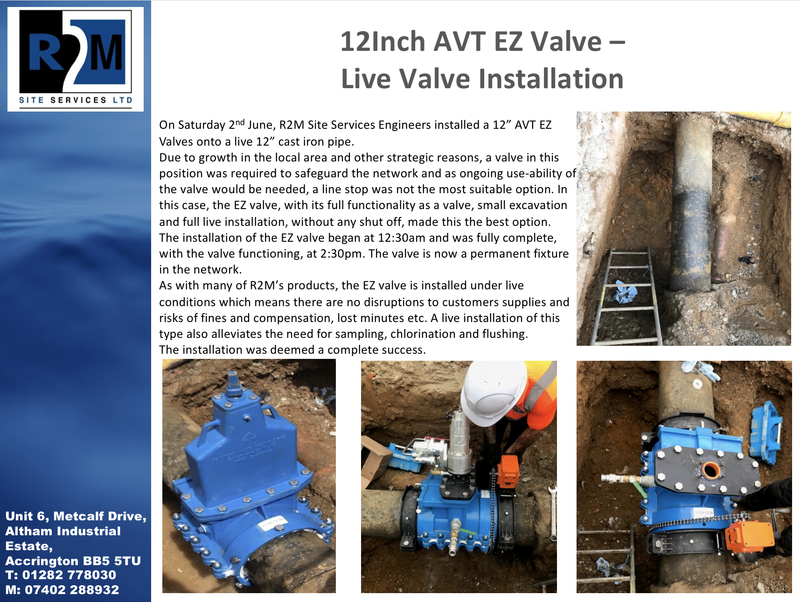 EZ installs under pressure and in one excavationeliminating expensive multiple excavations. Faster installation times save man-hours while avoiding residential and business disruption to your system. 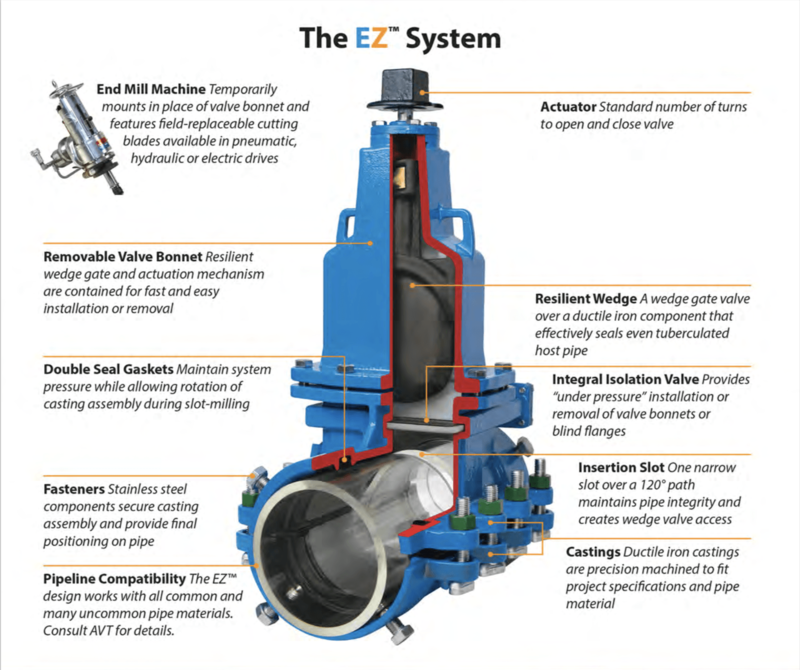 In comparison to traditional line stop equipment, EZ’s “low-profile design usually permits plating over to keep traffic moving instead of requiring alternative routing and the attendant costs. All steps are performed quickly, under pressure, in one excavation, and without interruption of service. 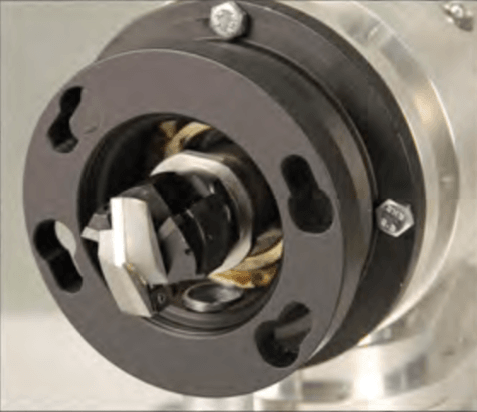 And You decide – “Take it or Leave it” – The Valve Bonnet stays for a permanent valve insertion or it leaves for reuse after a temporary line stop. 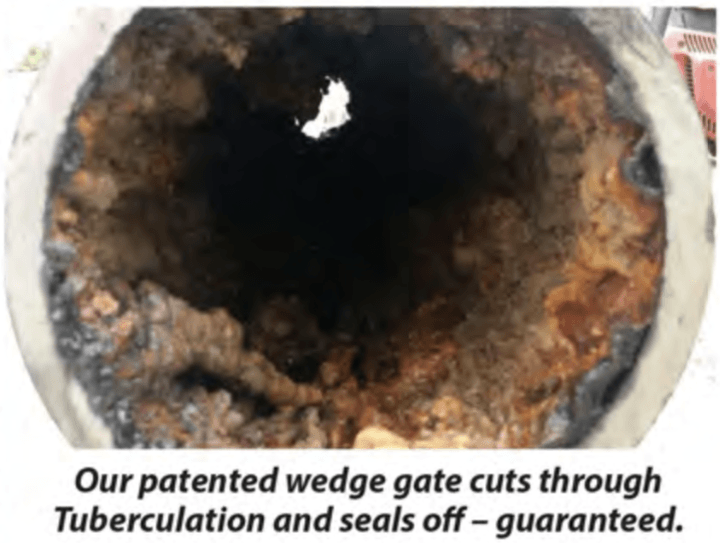 The patented Resilient Wedge Gate powers through tuberculation. The body casting, unlike a competitor’s, does not have a debris catching recess. 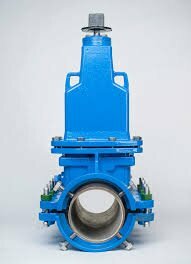 We didn’t say it about our EZ Valve, but we appreciate that an important customer did. And he had many good reasons to feel positive about the EZ performance.